Businesses that provide services, or sell products to organizations depend upon invoicing in order to reconcile goods or services provided with payment from a client or buyer. In many ways, this is a disadvantage that faces service providers and vendors that deal with organizations. Unlike a sales floor environment – where an employee either presents a customer with a bill of sale that is reconciled prior to product delivery, or where customers select items that they buy, then pay immediately at the checkout – invoicing adds a new level of complexity to the business process. In the past, invoicing was a process largely carried out by hand, and logged in hand-written or type-written records and files. Today however, invoicing is by and large a computerized process, whereby the invoice that is presented to a client or customer is generated by an automated computer software system. In some cases, invoices might be generated, printed, stuffed, stamped, and sent to clients or customers without ever touching a single human hand. 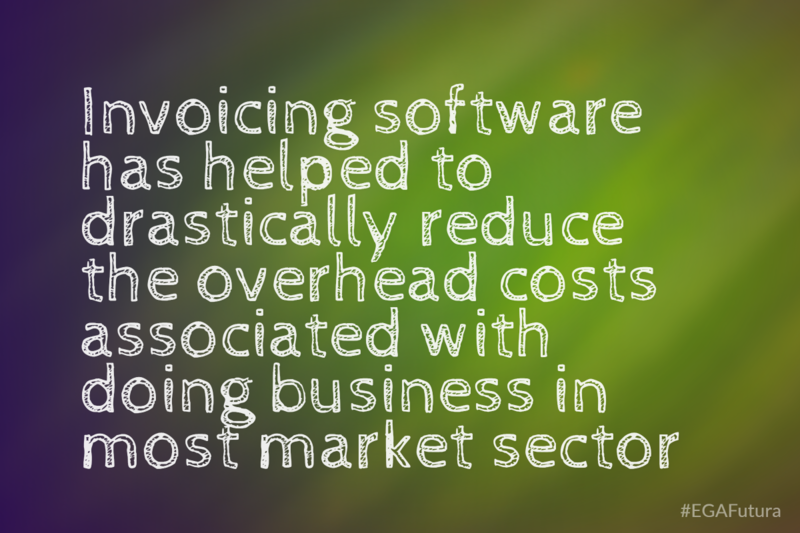 As a result, invoicing software has helped to drastically reduce the overhead costs associated with doing business in most market sectors. Additionally, well-designed and properly configured invoicing software also ensures that the amount of time between rendering a service or providing goods and generation of an invoice is minimized to the bare minimum. This means that businesses can benefit from faster acquisition of revenue. 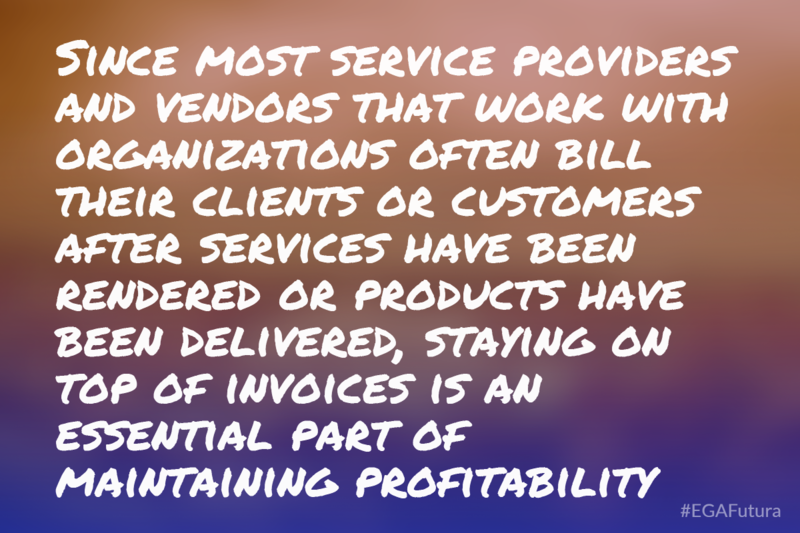 Dealing with invoices in the service sector has historically been a very tricky business. Given that the good that is being sold – human labor, of some form or another – is fundamentally an intangible good (though it is usually applied to tangible ends), management of invoicing can be tricky. After all, an employee cannot simply count the number of items that are waiting on a pallet about to be delivered to a customer. To make matters even more tricky, the situation is complicated by the fact that not all labor is sold at equal rates. For instance, a security firm providing services to an industrial complex might employee a variety of guards with varying certifications and responsibilities – which entails different grades of pay. So while there might be 5 different security guards racking up billable time during a day, each guard’s time could be billable at disparate rates (i.e. – a guard keeping an eye on video surveillance might make $14 per hour, while a guard that patrols the property with a guard dog might make $22 per hour). As a result, invoicing software in the services sector is usually tightly integrated with “timecard” or employee management systems and software. This ensures that a minimum amount of human intervention is necessary in order to generate invoices. Consider two versions of the security firm mentioned above: the first one depends on a bookkeeper generating invoices by hand. The second depends on invoicing software that is integrated with the timecard software used by employees at the site whenever they begin and end a shift. Obviously, the second firm will be far more efficient. In this case, the bookkeeper or accountant in charge of invoices will instruct invoicing software running on his or her PC to generate a batch of invoices to be sent to various clients, and the invoices will automatically account for variation in the services provided and the number of hours of service provided for each billing period. On the other hand, the former incarnation of the firm – which depends completely on human input to generate each invoice – will expend far more time and effort inputting various hours into each invoice, and checking the invoices against records of services rendered. The reality of the situation is: the firm that depends on manual intervention in order to generate invoices is bleeding money. Instead of making use of a bookkeeper’s talents to do tasks that necessitate human intelligence and interaction, the company is wasting time (and money) by paying a human to spend hours on what a computer could do in a matter of seconds. In the past, employees would generally generate an invoice by hand. Though effective in many cases, this method leaves a lot to be desired. For instance, it allows for a greater number of instances where human error can have a detrimental effect on the company’s bottom line. It also requires that more employee working hours must be invested in doing paperwork, rather than generating money for the company. As a result, most businesses with more than a handful of employees have sought to automate their invoice system – which yields immense benefits. It frees up employee resources from tasks that do nothing to add to a business’s revenues, and at the same time improves the work environment for employees. Essentially, invoicing software represents a kind of liberation from tedious paperwork for office employees. In addition, good invoicing software will generally tie in seamlessly with inventory management systems in order to generate invoices only after an order has been picked, packed and shipped, and can help a company’s sales force keep a close eye on buyers’ trends and habits, thus providing the sales force with the tools that they need to better predict and meet customers’ expectations. Invoicing software packages also can offer options for automated invoice follow-up procedures. 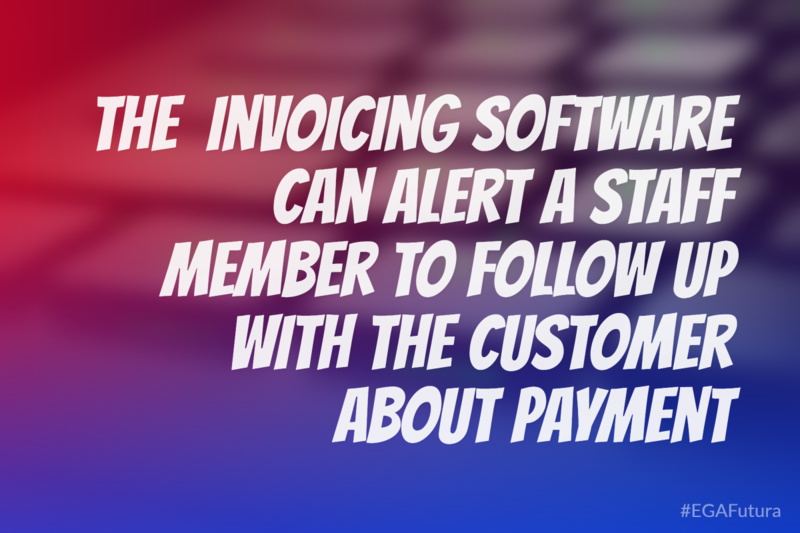 For instance, if an invoice has not been paid while only 48 hours remain for the customer to pay (according to standard payment terms on the invoice), the software can alert a staff member to follow up with the customer about payment. This is usually accomplished by monitoring incoming payments, either by syncing to a bank account, or automated processing of incoming checks and POS.